On the closing day of ICA’s exhibitions The Freedom Principle: Experiments in Art and Music, 1965 to Now and Endless Shout, ICA and Ars Nova Workshop co-present a performance by Joshua Abrams & Natural Information Society. 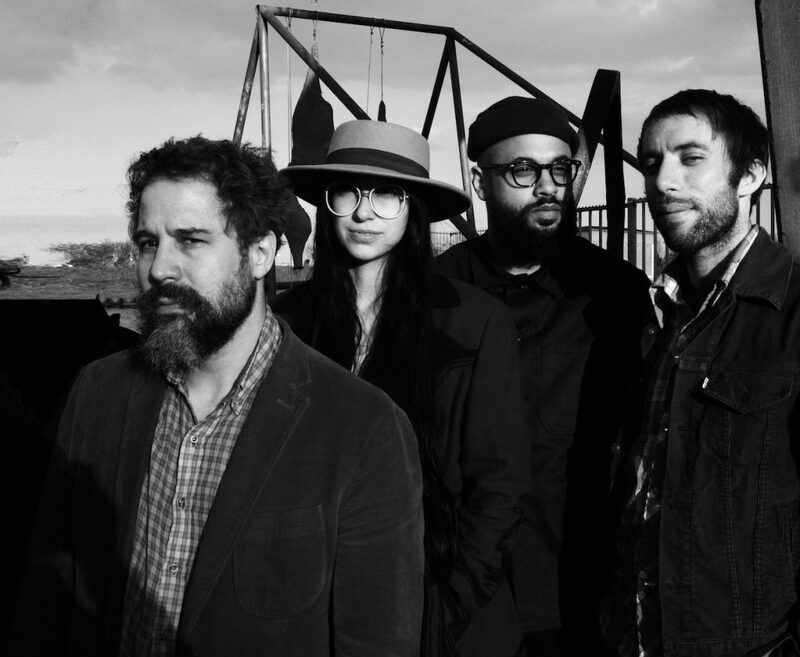 Joshua Abrams developed his voice in the rich ferment of the 1990s Chicago music world, participating heavily across the city’s jazz, experimental, and rock scenes. He co-founded the “back-porch minimalist” band Town & Country and, with Matana Roberts and Chad Taylor, the trio Sticks & Stones. In a very busy two decades, Abrams recorded and toured with a remarkable range of artists, including extended engagements with Fred Anderson, Bonnie ‘Prince’ Billy, Hamid Drake, Theaster Gates, Neil Michael Hagerty, Nicole Mitchell, Jeff Parker, Mike Reed, Matana Roberts, and The Roots. Abrams appears on over 100 recordings. A film composer, Abrams has scored the music for five feature-length films including the award-winning films Life Itself, The Interrupters, and The Trials of Muhammad Ali. Since 2010, Abrams has toured North America and Europe with a shifting lineup of musicians under the rubric Natural Information Society. The group uses traditional and electric instrumentation to build long-form, intricately psychedelic environments, composed and improvised, joining the hypnotic qualities of the Gnawan guimbri to a wide range of contemporary musics and methodologies including jazz, minimalism, and “krautrock.” The band’s album, Magnetoception (eremite), was selected by Wire magazine as the #3 record of 2015 and by Pitchfork as the #2 experimental record of the year. Current and former band members include Lisa Alvarado, Jason Adasiewicz, Mikel Avery, Ben Boye, Hamid Drake, Ben Lamar Gay, Emmett Kelly, Artur Majewski, Nick Mazzarella, Jeff Parker, Frank Rosaly, Jason Stein, Kuba Suchar, Nori Tanaka and Chad Taylor. In 2015, Natural Information Society and Bitchin Bajas collaborated on Automaginary (Drag City).